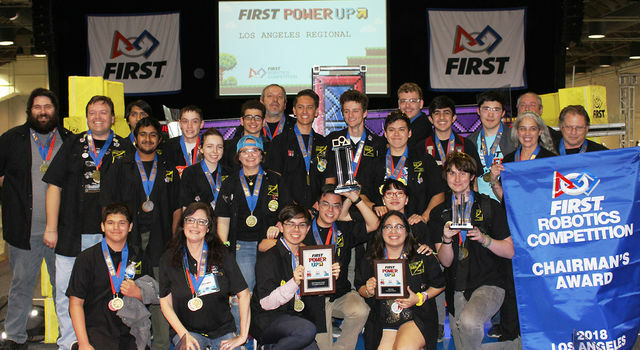 Two JPL-sponsored teams took top honors at the 18th annual FIRST Robotics Competition's Los Angeles Regional event over the weekend. 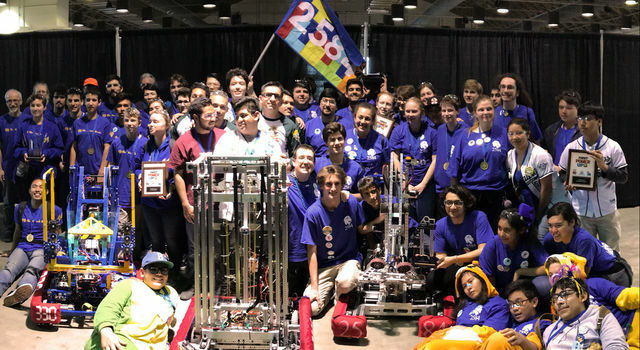 In the throes of the high-energy event at Pomona's Fairplex, with a crowd of spectators cheering wildly, 54 high school-aged teams competed for the opportunity to advance to the world championship next month. 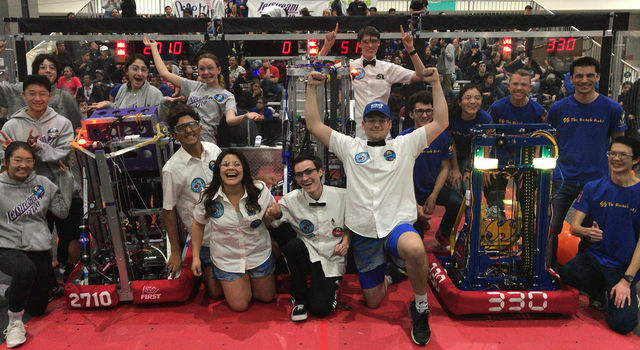 Those advancing will include JPL-sponsored Team 330, the Beach Bots, which was part of the winning alliance. 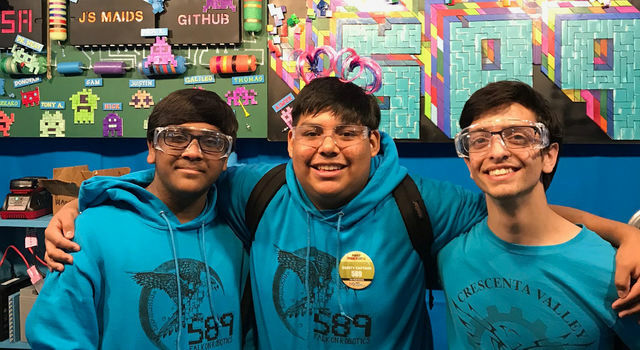 In addition, Team 980, the ThunderBots, won the event's coveted Chairman's Award and also will advance. The L.A. 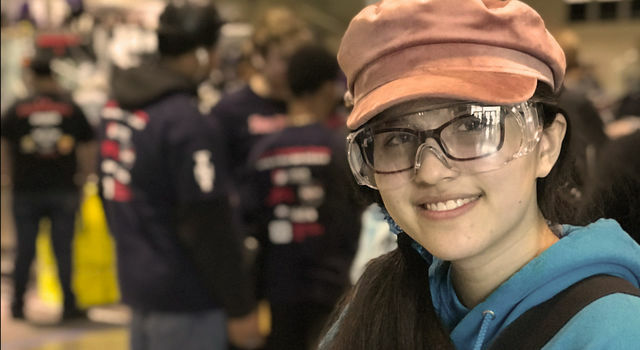 Regional event, with 1,600 student competitors, is one of more than 160 events worldwide that lead up to the FIRST (For Inspiration and Recognition of Science and Technology) Championship, held April 18-21 in Houston and April 25-28 in Detroit. 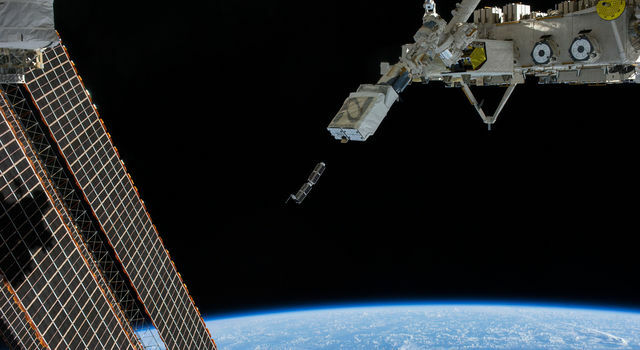 JPL, along with higher-education institutes, aerospace companies and others, support and mentor teams. 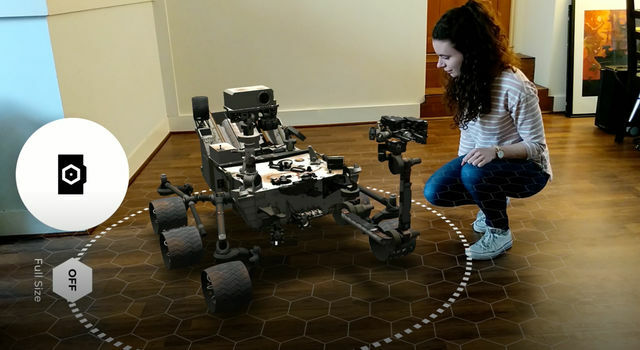 The goal of the international hands-on engineering contest is to immerse high school students in the world of engineering. 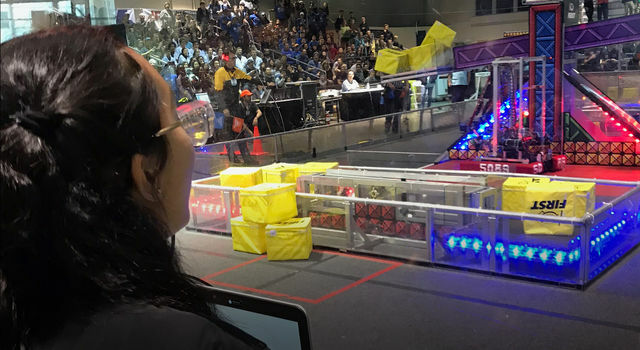 In January, student teams across the country received the same game challenge and were given six weeks to design, build, program and test their robot. The video-gamed theme for 2018 was "Power Up." 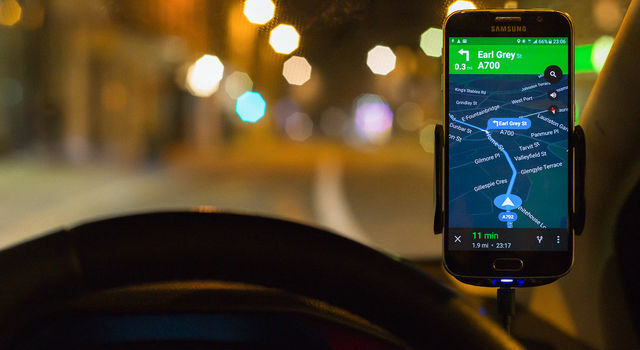 Although teams are focused on the nuts and bolts, the major lessons learned are how to collaborate successfully with teammates. They also learn to share their firsthand experiences with each other. "I was mentored and then became a mentor," said Emme Spero, an 11th-grade competitor from Crescenta Valley High School. 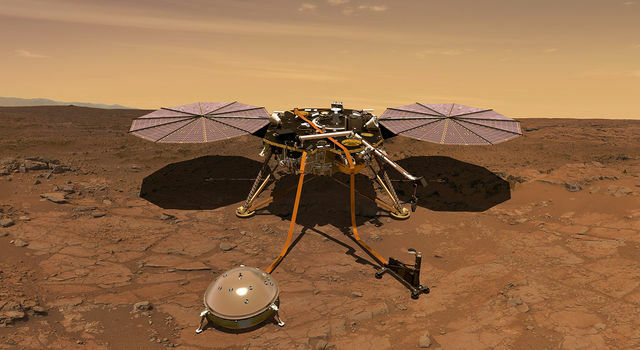 JPL is managed for NASA by Caltech in Pasadena, California.